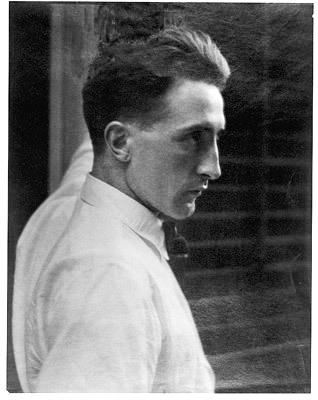 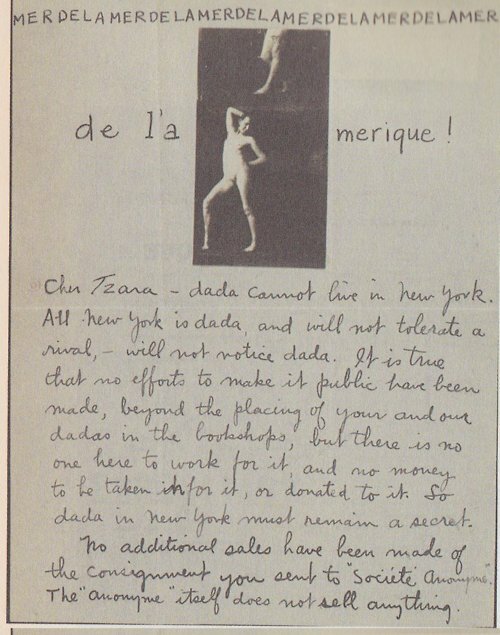 Around the same time, in New York, another essential episode of the drama would unfold when Francis Picabia and Marcel Duchamp arrived in the American metropolis in 1915. 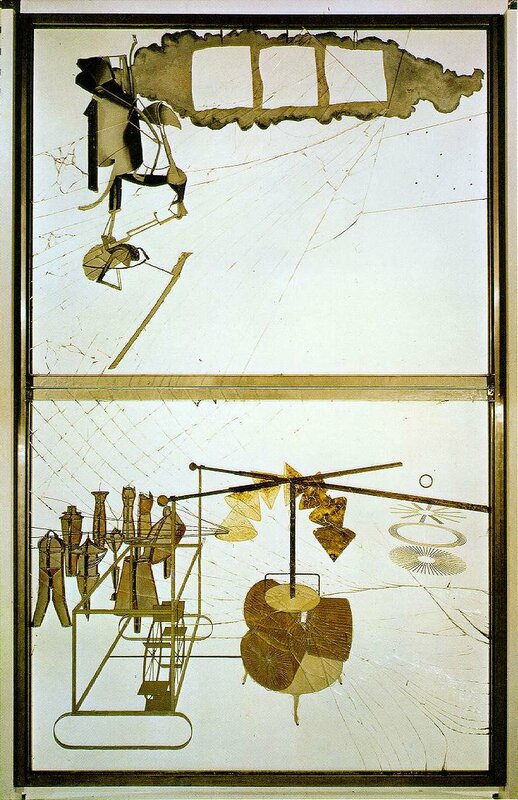 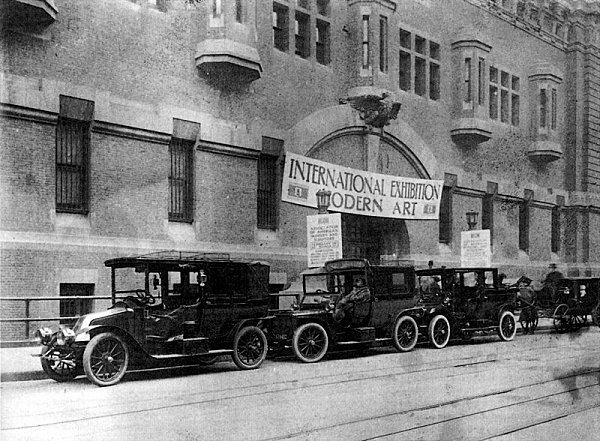 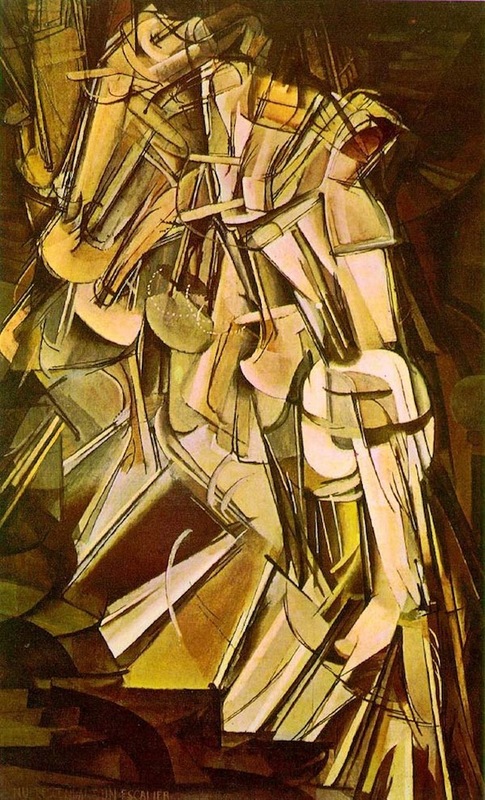 The public had been prepared for it in 1913 by a modern art exhibition called the "Armory Show", where the two men had presented canvases betraying a cubist inspiration (Duchamp's Nu descendant un escalier and Picabia's Procession à Séville), causing an early scandal. 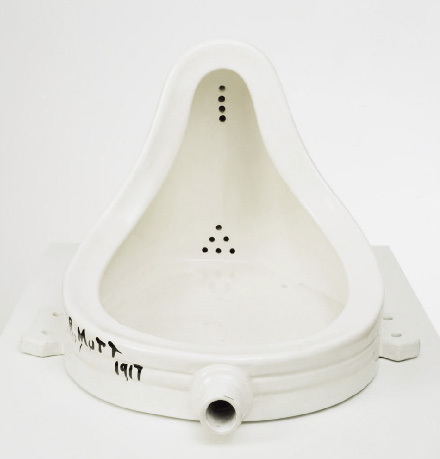 The movement of artistic liberation impatiently awaited since the beginning of the century by a whole generation of young plasticians, would now take off when a few Europeans trying to avoid conscription arrived in New York. 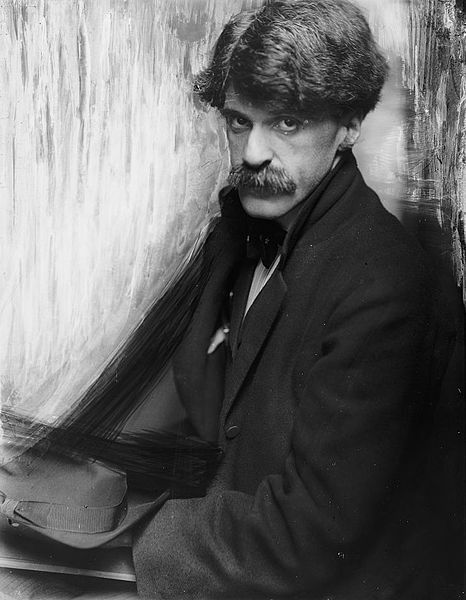 Albert Gleizes, Jean Crotti, Henri-Pierre Roché, Arthur Cravan, Edgar Varèse and a few others along with Duchamp and Picabia, were to integrate little Manhattan avant-garde circles such as the photographer Alfred Stieglitz's 291 Gallery. 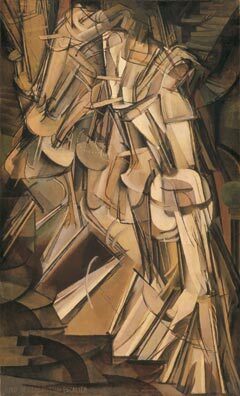 Soon some young Americans joined the original group. 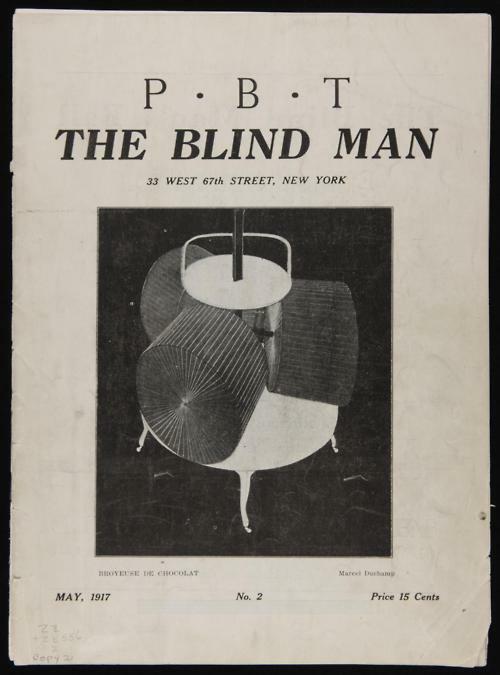 They included Morton Schamberg, Walter Pach, John Covert, Arthur Dove and especially Man Ray, who had the most inventive brain and whose personality was the most typically dadaist. 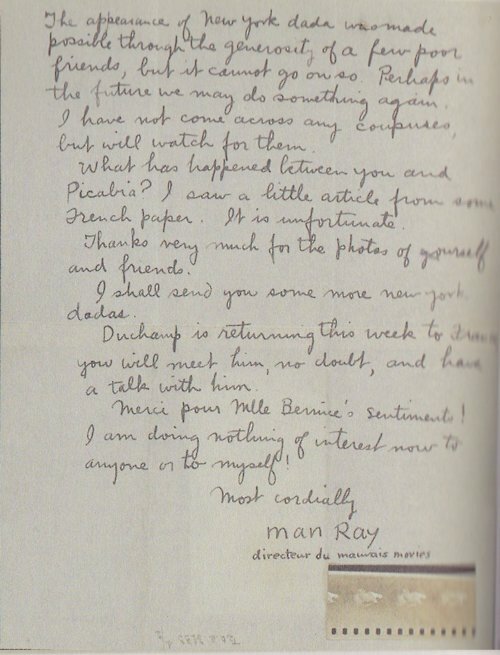 Man Ray - Letter to Tristan Tzara, New York, 18 June 1921, Bibliothèque Doucet, Tristan Tzara bequest, Paris. 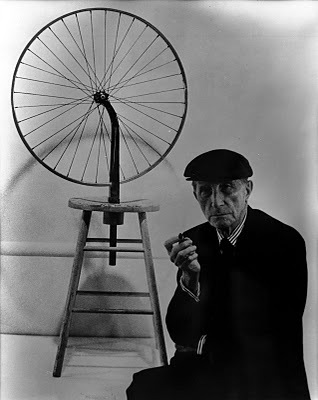 finally in enthroning it in its pristine form in the new Parnassus (Roue de bicyclette): finally he would make infinite variations on the theme of the "Ready-mades", ordinary objects promoted to the dignity of works of art through the artist's simple choice. 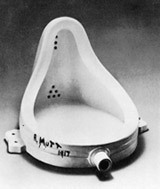 The most famous of these would be a urinal, entitled Fountain by Duchamp when presented at the Independents' exhibition of 1917 in New York and which, as the archetypal "found object" of pop art, has since been inscribed in modern American art history. 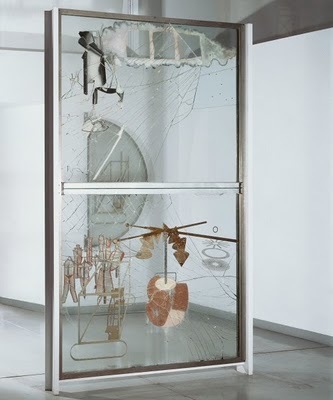 Coinciding with the first exhibition to explore the inter-relationship between Duchamp, Man Ray and Picabia, staged at the Tate Modern in 2008, Marcadé examines how they laid the foundations of much contemporary art.